It’s Friday once again, time for another Mommy Moments. This week’s theme is Special Day (Baptism, Graduation). 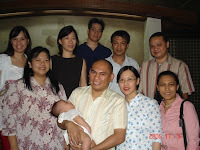 Justin was baptized at the Edsa Shrine (Shrine of Mary, Queen of Peace) in Ortigas, Pasig on November 11, 2006, a few days after he turned four months old. 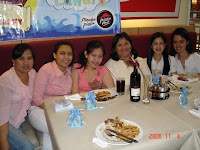 We held a small party for him at Pizza Hut Bistro at Robinsons Galleria. 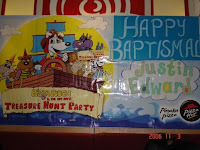 This entry was posted in Baptism, Mommy Moments. Bookmark the permalink. Baptism is one of the events we should consider Special. It’s the time we introduce our little ones to the faith we believe in. And the Church and reception went well together. Its nicer if both are near. it looked like it was a great party! i love my baby will receive lots of gifts too during his baptism and other special days…hAVE A nice weekend! 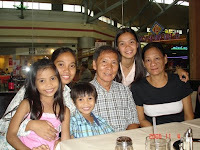 Thanks for sharing this memorable moment.